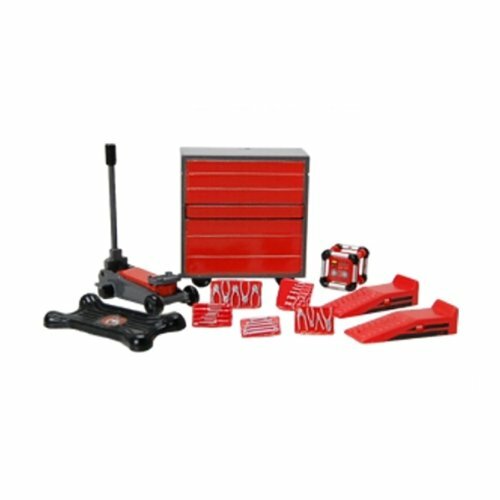 FEX16057 Backyard Mechanic Plastic Kit 24th Scale Phoenix Toys Backyard Mechanic Plastic Kit 24th Scale Includes tool box, shop radio, floor jack, ramps, creaper and assorted handtools. Tool box Dim. 1 3/4in X 3/4in X 2in.